Last night I put the chicks in their hen house for the first time. The hen house has been my big project for the last few weeks. I am pretty new at woodworking, so there was quite a bit of doing, undoing, redoing, but this weekend I was happy with it. The chickens however were not. After - New shutters, painting, water proofing, roost, new door, weather proofing, building a ladder and general repairs bring you this. 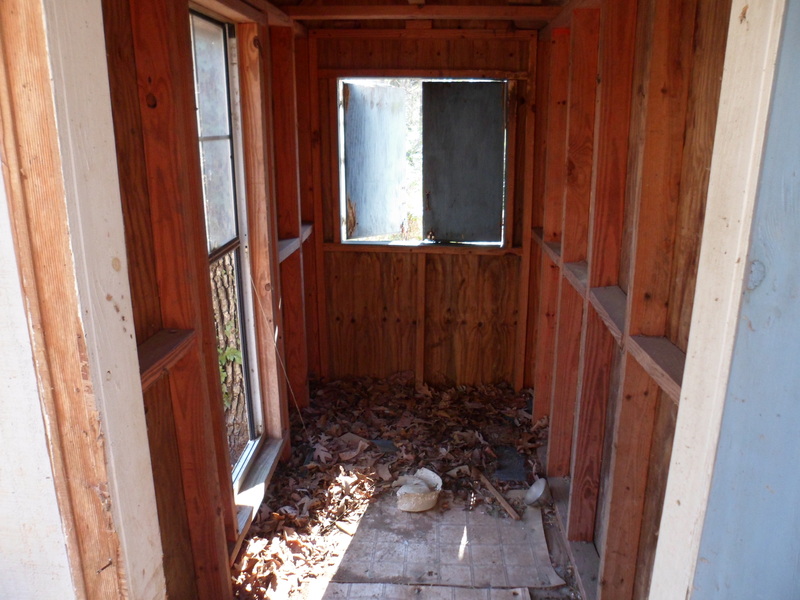 Before - I think this building was used as a play house and dog house before we moved here. We put them in a few hours before sunset so they could get used to it and be comfortable before the scary dark came down. At first they wandered around a bit. They tried out the ladder looked in the nesting box and explored. Slowly moved towards me. After a while they were happily settled down on and around me. But since I have no intention of sleeping in the hen house I left before they could get comfy enough to fall asleep. About an hour later we came back and they were huddled up very unhappy against the door. So the way we had things was not working. First we installed their red heat light and tried a few different method for getting them up on the roost. This mostly ended with them getting angry or scared and trying to roost on me. I had as many as 4 chickens at a time on my arms and shoulders making it pretty clear they wanted to go home. At one point Peep got up on my shoulder, put her head by my ear and told me what she thought about the whole thing. Of course I don’t speak chicken, but I got what they were saying. I have to admit I the thought did cross my mind they maybe they could live in the house forever and we could just learn to deal with it. But I know that will not work of course. They will be happier in their hen house and we can’t have 7 full grown chickens in the house. So then we tried to make it as much like were they lived inside as possible. 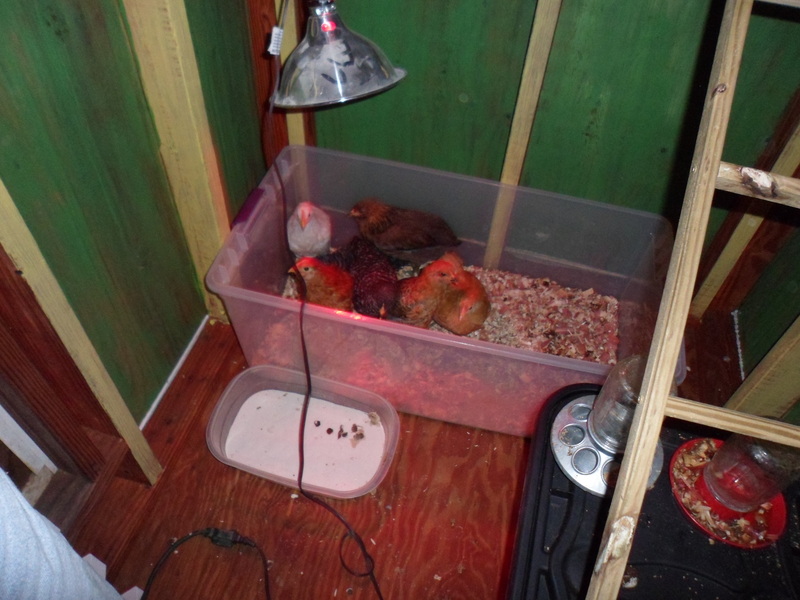 We got their pen, put the small feeder and water in it, put the heat lamp in the same place as inside and put them all in there just like we have done ever night in the house. That did the trick. They settled down and stopped yelling at me. After that I was able to go inside. Not much sleep was to be had by me. I stayed in a light sleep all night listening out for them. 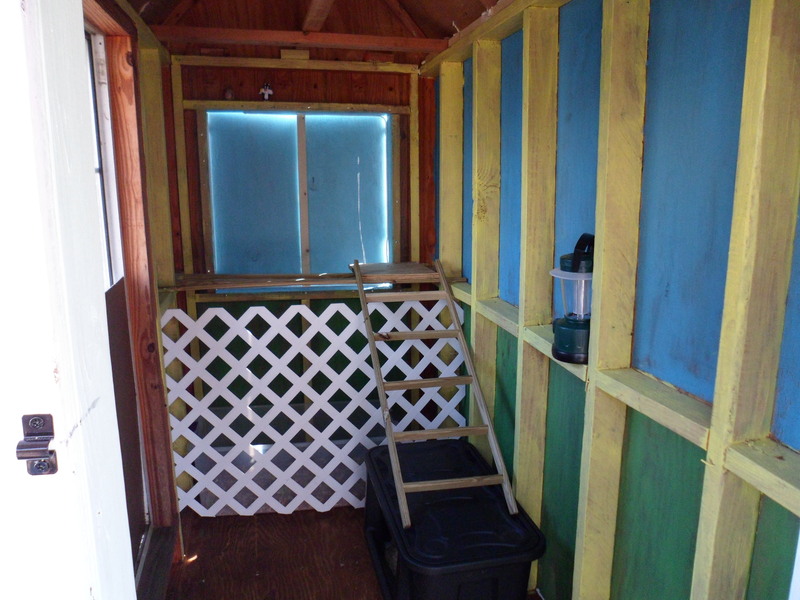 I know the hen house is pretty secure, but it is hard not to picture predators getting in. This morning when I went out there were fine, all cuddled up in the pen. Last time I went out there I made them get out of the pen and showed them a big feeder and water again. Hopefully they will understand this is home and feel safe there in a few days. I will visit them often to make sure they are adjusting well. The next project is to build them a run so that I don’t have to carry them to the working pen every day. These chickens are starting to get heavy. 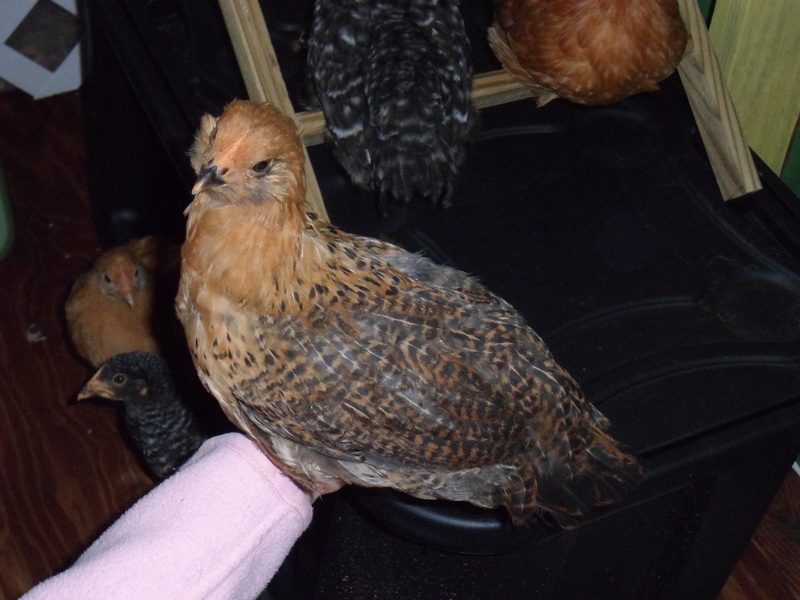 Here are a few cute pictures of some of the chickens. I find them all to be so pretty and to each have their own personality. These three are great examples of that. Atilla is aggressive and weird. Betty is curious and though the smallest she has the biggest drive for adventure. Speckles is prim, proper and polite. I am glad they are finally settling into their new home. I hope they come to love it. I think they will in a few days. They seem to like it better already. You did a lot of work on the henhouse! Yep! Maybe more than was necessary, but I had fun with it. Starting on the run later this week. I don’t think I have ever been told I have APW’d anything. I am happy. Do I get a merit badge? Chicken in the Hen House pickin out Dough! I sing that to them!!!! Last night when I took them in I sang “Your in the Hen house now, your in the hen house now” like the old timey song “Your in the jail house now”. It looks great . . .I wanna be a chicken now . . .